While English is predominantly spoken in Dublin, it is not the only dialect – Irish Gaelic (referred to as Gaeilge by locals) is still recognized as the first official language of the region, and is still spoken with regularity by some 40% of the city’s population. How you will react to the climate in Dublin depends on which part of the States you are moving from, and how much adjustment will be required. If you’re used to sun-kissed California it may feel a little gray, but if you’re moving from the rainier climes of Seattle it could even be a home from home! The average temperature of Dublin runs to around 50°F, so it rarely reaches an extreme at either end of the scale. Summers get considerably warmer, and winter brings a chill, but snow is rare in Dublin. When it does arrive, expect a great deal of disruption to the streets and public transport facilities – the infrastructure of Ireland simply isn’t built to cope with flurries, and it will take the local authorities a while to get things moving again. Critical Skills Employment Permits, which are issued for roles that pay a salary in excess of €60,000 per year (or €30,000 if the position is considered to be highly skilled, such as any position within the realms of healthcare, science and certain sales environments). Roles within the realm of hospitality, therapy, social welfare and other fields are deemed illegible for a Critical Skills Employment Permit. General Employment Permits are available for other roles – provided they are not contrary to the public interest of the nation at large – and the salary of the role totals €30,000 or more. This salary must be paid in full by the employer, though it can be made up of released payments and healthcare insurance to complete a package. You can enter Ireland without a Visa to visit the country, but obviously if you are looking for work you will be looking for stay for over three months – this means that you will need the appropriate paperwork. A number of Visa applications are available based upon your personal circumstances and needs, the details of which can be obtained from the Irish Naturalization and Immigration Service. It is highly advisable to ensure that you have proof of an offer of employment before applying for a Visa or work permit. 53 international nations have an embassy in Dublin. The American Embassy is located in Elgin Road, Dublin 4. If you are bringing a four-legged friend with you to Dublin, you must ensure that they are microchipped and vaccinated before entering the country. You’ll also need a pet passport, and there are certain regulations that surround the introduction of an animal to Ireland depending on whether you are travelling with them – details on this can be found here. It can take around a week to sail from the USA to Dublin, which is a long time for your beloved pet to cope with being cooped up, and thus it’s advisable to look into travelling by flight. If you must travel by sea, you may wish to look into the use of a cargo ship – there is plenty of freight traffic coming into Dublin at any given time, and this could be more cost-effective than a cruise liner. Shipping your worldly goods to Dublin is extremely simple due to the easy port access found in the city, and should not cost too much for the very same reason – there’s no need to use an airplane. Find a private quote and use freight shipping – you should find that your possessions are with you within a week. Check the section on climate, and settle upon what time you are planning to make your big move to Dublin – ensure that you are appropriately equipped for the season that you are going to arrive. There is no shortage of shopping destinations in Dublin, so you’ll be able to pick up a whole new wardrobe when the time comes. There are a great many different types of work available in Dublin, as Ireland has very firmly turned around its financial difficulties following the global economic crash of 2008. There is one industry that shines above all others, however; technology. Giant IT monoliths such as Google, Amazon, and Twitter have established bases in the country, thanks in no small part to the low levels of corporation tax leveled by the local government. The tech sector accounts for an excess of 100,000 jobs within Ireland, and this number is continuing to grow. If you are based within this particular field, Dublin will be an extremely enticing place to live and work. If you have experience in another sector and are looking for work in Dublin, you can compare your qualifications with Irish equivalents. If you are travelling with younger family members, or are looking to extend your own education, there are options available to you in Dublin. Dublin does not have a great many international schools, though specialist schools in French and German language are available. However, the education system in Ireland is highly regarded and will typically accept students from other nations, so you will be comfortable placing your children in a public or state school in Dublin. There are four major universities in Dublin, all of which are very highly regarded. The Trinity College Dublin, University Dublin College, Dublin City University and Dublin Institute of Technology all accept fee-paying international students. These costs could begin at around €15,000 and raise as high as €50,000, depending on the course that you are looking into. Healthcare in Ireland is government-funded through taxes, which means that long-term citizens are entitled to free healthcare at any public hospital. The only hitch in this plan is that you will need to have lived in the country for a minimum of one year before being eligible for such treatment, and even after you have done so, there may be long waiting lists for medical procedures due to overburdened hospitals. Private healthcare insurance will be a necessity upon arrival in Dublin, and may be worth retaining afterwards if you can afford to do so (or find an employer that will provide healthcare as part of their salary package). Sometimes it’s cheaper to actually take out a policy with international cover before you travel, though if you wait until you arrive, there is no shortage of options available to you. Private clinics will also accept credit cards for on-the-spot appointments if you are able to make it to such a location. Putting it bluntly, Dublin is not a cheap city to live in – the desirability of the area, coupled with its popularity with tourists, sees to this. Expatistan has a summary of the average expenses incurred by living in Dublin, but expect to pay somewhere in the region of €1,700 in monthly rent (that’s around $2,000), and dinner for two in traditional area (as in, somewhere not primarily populated by tourists – these parts of the city will be even costlier) will cost around €70, or $80. If you are looking to make the jump to living in Dublin, ensure that you take on a job that will enable you to live comfortably. Along with the majority of European countries, Ireland uses the Euro as its national currency. At the time of writing, the Euro is very strong against the dollar, potentially making this a great time to consider a move to Ireland; you may find that similar levels of employment yield higher rewards in Dublin, though obviously the cost of living will need to be taken into consideration. Public and private transport is abundant in Dublin. Double decker buses are found all over Dublin, and the use of designated bus lanes means that they are often the fastest way to travel around the city center. Alternatively you could hop on a tram to make your way around the city, which tend to arrive to every 4-5 minutes. If you prefer to take the train, a surface level service called the DART runs every 15 minutes or so to work around the city – or outside, to neighboring counties such as Cork. If you are looking to use public transport in Dublin with regularity, pick up a Leap card – available as pre-paid fares or weekly passes, these handy credit card-sized tickets can be used on any bus, train or tram throughout Dublin and will save the need to purchase tickets each and every time you use public transport. Good news – your full US driver’s license allows you to drive throughout Ireland without the need to take a new test. Just brace yourself for the different conditions in Dublin – the roads are considerably older and windier than you may be used, and above all, remember that Europeans drive on the left! A two-terminal major airport, the IATA of which is DUB, serves Dublin. All major airlines are served by this airport, including the national low-cost supplier Ryanair – an airline that many Americans make a great deal of use of in order to visit neighboring European nations for long weekends. Weston Airport is also close by, this is site is reserved for private pilots. The biggest port in Dublin is imaginatively titled Dublin Port, and is responsible for over half of the country’s shipping trade. However, cruise liners do also dock at Dublin Port. This could be extremely convenient for travel needs, as Dublin Port is based just two miles from the city center. Dublin is broken into 24 different postal code districts (the equivalent of zip codes), numbered from Dublin 1 to Dublin 24 – odd numbered districts are usually to the north of the city, and even numbered equivalents are in the south. Think of it as akin to The Hunger Games, without the gangs of homicidal children. Dublin 8 is the closest thing to a city center postcode, so if you’re looking to be close to the action aim for here – though you’ll be close to the Temple Bar, so you’ll probably be experiencing plenty of tourist footfall. The Old City is in the same area though, which is a glorious location for history buffs, while Embassy Row is prestigious and close the American Embassy should that make you feel more comfortable. Head south if you’d like to be close to the sea (Seapoint and Killiney are names to keep an eye out for), or if you are bringing your family with you and have plenty of disposable income to spend on rent (or if you employers are paying for your accommodation), check out Ranelagh or Clontarf. These suburbs are still within commuting distance to the city center and have plenty of nightlife, but the properties are well sized and tend to come with gardens. Smithfield, home to the Jameson distillery, is a hugely popular area with outsiders looking to move to Dublin, though unscrupulous landlords tend to exploit this popularity by overcharging on certain properties, so shop around if necessary. Also be aware of the attitudes of certain long-term natives – Smithfields has been gentrified significantly in recent years, and some people resent the fact that the area has lost its seedy edge. If you’re keen to know what areas to avoid, however, check out this guide from Dublin Insider – we’re sure you’ll agree, these are not territories that you’d want to live in! 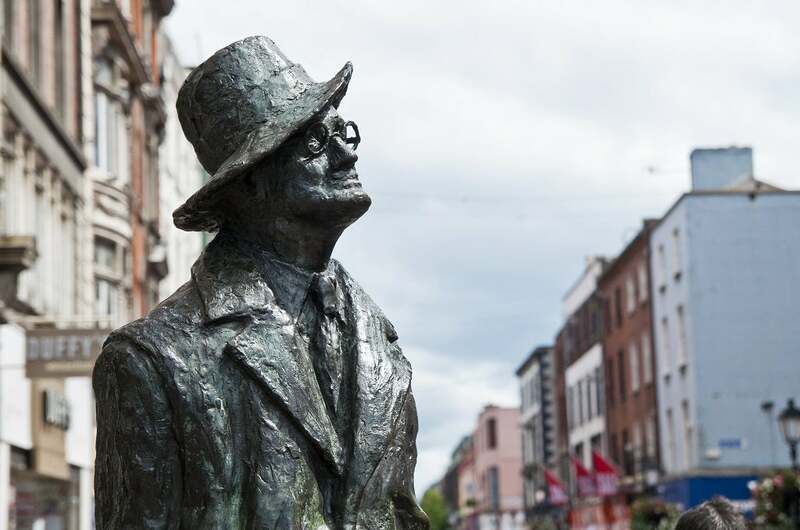 Dublin has been described as a ‘City of Living Culture’, thanks to its rich heritage in literature and music. Folk music is played in many locations throughout the city, and there is no shortage of museums to be found – often in the Temple Bar area, before the sun goes down and it turns into a raucous nightspot. Undoubtedly the biggest event in the Dublin social calendar is the annual St. Patrick’s Day parade, a four-day celebration of all things Irish. You may not find too many natives partaking in the celebrations, as Dubliners tend to mark the occasion in their own way, far from the madding crowds, but it still promises to be a raucous occasion. The Jameson International Film Festival also rolls into town each year, providing a huge treat for celluloid enthusiasts across the nation, while those of a more scholarly bent will want to investigate the Dublin Writer’s Festival and Bloomsday Festival, both of which celebrate the rich literary heritage of the city. The Dublin Theater Festival is also an annual occurrence, fascinating audiences since the 1950s. Sports are a way of life for any self-respecting Irishman or woman, so you may want to brush up on the local ballgames; the most important of which are Gaelic football (often referred to simply as Gaelic or football by the locals) and hurling. Collectively, these events are referred as the Gaelic Games. Gaelic football is a cross between rugby (American Football without the padding, according to the locals – but there’s a lot more to it than that!) and soccer, in which two teams of fifteen players each attempt to punch, kick and throw a round ball into or over the oppositions goal. Hurling, meanwhile, is more akin to lacrosse – the team sizes and idea are the same as Gaelic football, but the players are equipped with netted wooden sticks (referred to as a hurley) with which to move the ball throughout the field. These clashes are not for the faint-hearted, as they play out at a rate of knots and involve all kinds of unapologetic full contact between players. They bring out the inner cheerleader in every spectator, however, especially as each game will unfold at Croke Park, a veritable cathedral of sport in Dublin. The third-largest stadium in Europe (behind only London’s Wembley and Barcelona’s Camp Nou), Croke Park also hosts concerts, and very occasionally touring NFL games. It’s not the only stadium in Dublin, however; most sporting events in the city unfold at the Aviva Stadium. This is where you will find home matches for the Republic of Ireland’s national rugby union and soccer teams, as well as touring events and one-off occasions. Unfortunately it is impossible to move to a major city without encountering crime, and Dublin certainly has the highest crime rate in Ireland. This is hardly surprising though, given that it is substantially larger and more populous many the other counties that make up the nation. The good news is that the crime rate in Dublin is substantially lower than the average American city, which means that anybody can relocate with confidence. Violence is thankfully rare, and is usually a result of organized crime. One thing to note – the police in Ireland are known as the Garda, so don’t be confused if you see a car patrolling with such branding! For more information on the crime rate in Dublin, you can check out the Bureau of Diplomatic Security’s Crime and Safety Report. OK, let’s deal with the elephant in the room before we go any further – the fabled Temple Bar. This celebrated riverside street is a tourist trap and one of the major attractions of Dublin (think Times Square with more green), meaning that it will always be heaving with visitors, and an evening in its many pubs, bars and restaurants will cost a small fortune. It should be experienced, even if just once, but most self-respecting Dubliners would never be seen dead here for a big night out. If you don’t want to feel like an outsider in Dublin, you are going to want to find out where the locals party and ingratiate yourself with them. If this is the case, check out the nightlife around Aungier Street and Dame Street. You’ll stand a far better chance of meeting interesting new people in this area – those who are genuine Dubliners (whether native or adopted), rather than visitors passing through the city for 24 hours. When the sun comes out in the summer months you may want to check out Dame Lane, which has plenty of open-air spaces, and those wishing to embrace their inner hipster should investigate the achingly cool surroundings of Fade Street. You’re going to have to develop a taste for Guinness first though, as you’ll be living in the land of the black stuff. Head to the Open Gate Brewery on James Street. You’ll have to book ahead, but this brewery is less of a tourist attraction and more of a tasting master class. To learn more about Dublin and its history, check out some of these books available from any good bookstore. Ulysses, by James Joyce – arguably the most celebrated Irish novel of them all, from the nation’s favorite son. The Ginger Man, by J. P. Doleavy – a bawdy tale of an American in Dublin that was initially banned in both countries due to its raunchy content upon release early in the 20th Century. Dublin 4, by Maeve Binchy – a collection of short stories set in the city’s most historical area, penned by another celebrated Irish author. Time Pieces: A Dublin Memoir, by John Banville, is an autobiography of the celebrated local writer. Dublin: The Making of a Capital City, by David Dickson, profiles the evolution of Ireland’s largest city throughout its history. Horrible Histories Gruesome Guide to Dublin is a must-read for any younger travellers moving to the city with you.